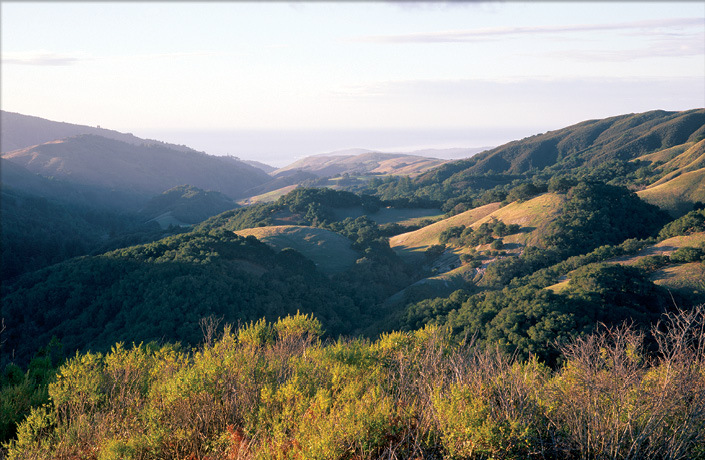 The Santa Lucia Preserve is a 20,000 acre conservation community in Carmel Valley, California. L Studio worked with the founding group of the Preserve to create communications materials, advertising and direct mail campaigns, a project website and real estate collateral to help sell the last of the 300 homesites and transition the community to the homeowners. This last year, L Studio was engaged by the homeowners to help revitalize the brand of the Preserve and create a communications framework based on the founding vision and values of the community. L Studio led the effort to publish the story through a series of articles in the Preserve magazine. 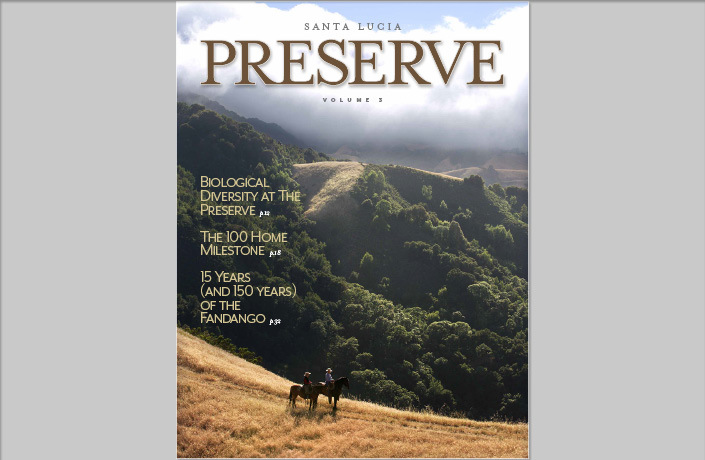 Production of the Preserve magazine, a 50 page publication featuring a series of articles that together tell the Preserve story. 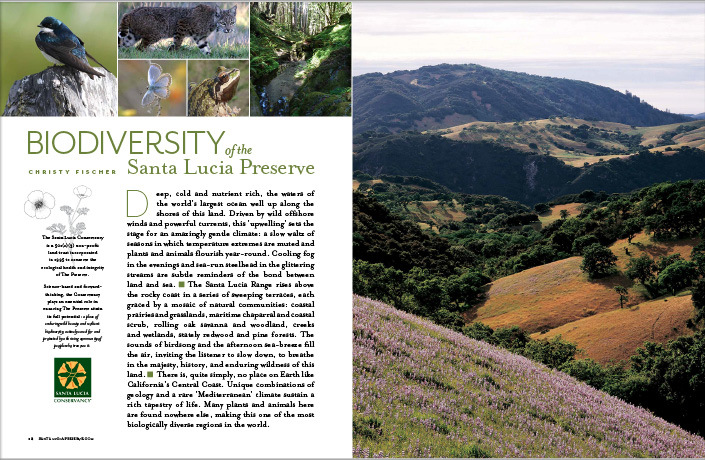 Content and art direction for an article about the importance of Biodiversity at the Preserve and the work of the Santa Lucia Conservancy. 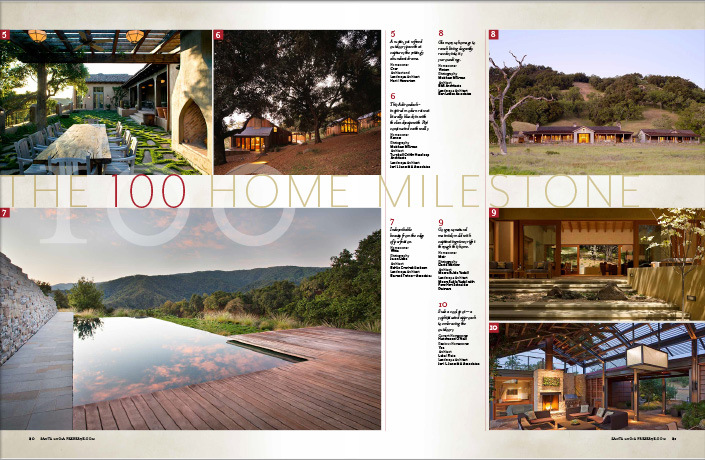 Content and art direction for an article about the new architectural vernacular at the Santa Lucia Preserve, featuring a few of the first 100 homes completed at the Preserve. 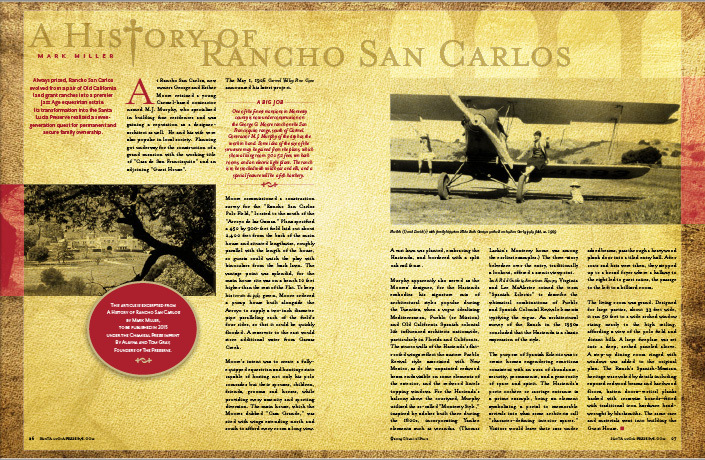 Excerpt from the History of Rancho San Carlos, written by Mark Miller and to be published in 2015 under the imprint of Chamisal Press by Preserve founders, Alayna and Tom Gray. 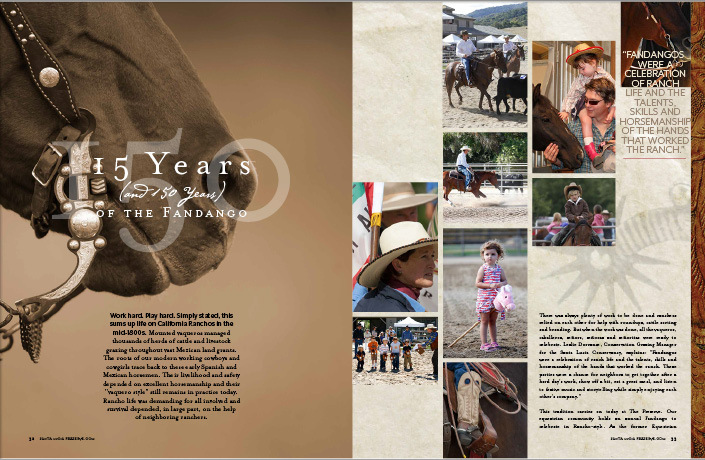 Content and art direction for an article about The Fandango, an annual event at the Preserve based on the riding traditions of the old California vaqueros.